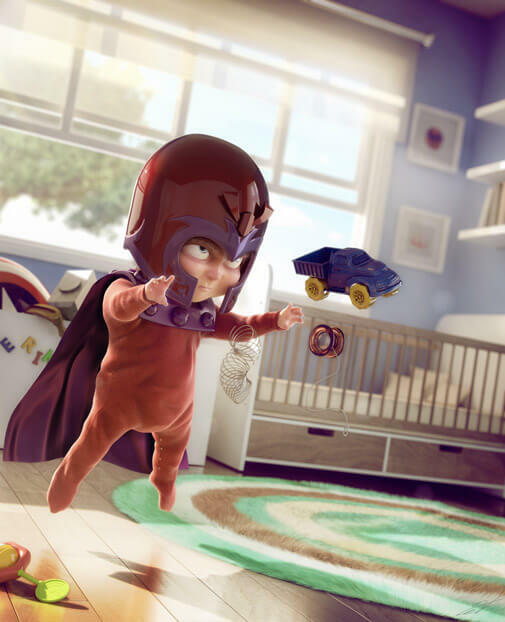 Artist Victor Hugo created an amazingly impressive render of Magneto’s first steps in the recognizable Pixar style. Pretty nerdy and awesome. This entry was posted in film, geekery and tagged pixar, x-men. Bookmark the permalink. I’m a huge fan of Pixar. This looks awesome.